I heard of him, beginning many years ago, as a fighter for Soviet Jewry, against the desecration of Auschwitz, and various other important causes. Known as a person brimming over with a love of Jews and a passion for fighting against abuse of their rights, he was a beloved figure from afar. Over the past several years, however, I have come to see a different side of Avi Weiss, one that in my opinion has caused tremendous damage to Orthodox Judaism both here in the United States, and now in the State of Israel. 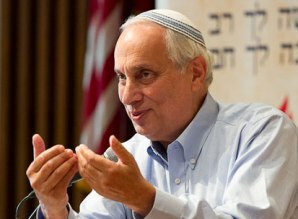 The damage was caused because Avi Weiss has decided to begin a new form of Judaism, called “Open Orthodoxy”, and to promote it with all the public relations skills that he honed as a rabble-rousing fighter for all of those good causes, to the detriment of our Holy Mesorah and the good of Klal Yisroel. 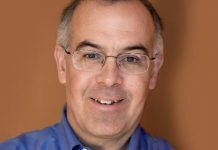 I am not going to go into the history and the damage that has been done by Open Orthodoxy in this article, as I wrote about that topic in a recent column entitled “The Hellenists or the Maccabees – Which side are we Open to?”. ( Please see that article , which contains references to several other important articles). Briefly, they introduced innovations beyond the bounds of Halacha that any mainstream Posek would agree with including: the rabbinic ordination of women, the celebration of and advocacy for gay marriage, the introduction of “partnership minyanim”, the lowering of conversion and divorce standards, and the acceptance of beliefs that negate some of the core beliefs of Judaism as understood by all those who cherish and uphold our traditional Mesorah. These distortions of our Mesorah, and the pretense that they represent legitimate views within Halachic Judaism, continue to lead many astray from Orthodoxy. The precedent has now been set that it is possible to pressure the Rabbanut into lowering their standards for what is acceptable as a rabbinic standard. The cudgel will be taken up, and soon, by the Reform and conservative movement, who have for years been arguing for equal recognition as Rabbis in Israel. Today, however, I write to comment on the incredible damage that happened in Israel over the last two weeks; damage that I fear will forever change the religious status quo in Israel much for the worse. In order to understand that damage, one needs to know a little about the history of the Chief Rabbinate in Israel. The first Chief Rabbi of Eretz Yisrael in modern times, the sainted Rav Avraham Yitzchok Hakohen Kook zt”l, was an incredible scholar, saint and lover of Israel, one of the greatest Gedolim of recent times. He was strongly opposed by the Chareidi world, who saw him as lending legitimacy to the Zionist movement, but nevertheless greatly respected by their leadership, particularly Rav Yosef Chaim Sonnenfeld zt”l, Rav of the Eidah Chareidis. He passed in 1935, which predated the War of Independence and establishment of Israel by 13 years. One of the most important roles of the Chief Rabbinate (Rabbanut) , had nothing at all to do with the Zionist movement, and is perhaps one of the main reasons that Rav Kook allowed himself to get involved in such a thankless office. Under Turkish law, which was the law of the land before World War I and continued to a great extent through the Mandate period and until today, matters of personal status such as marriage and divorce are handled by each person’s religious authority, rather than by the government. Thus it is necessary for a Muslim to go the Waqf to register a marriage, for a Christian to go the Ecclesiastical Authority, and for a Jew to go to the Rabbanut. There is no such thing as a secular marriage or divorce, it must be handled through the Religious Authority. The religious authorities are quasi-governmental bodies that are overseen by the Ministry of Religions (plural) for each ethnic/religious group. This unusual arrangement has benefited the cause of Torah greatly in matters of yuchasin, or personal status under Halacha. Israel has largely, till now, avoided one of the saddest problems of Jewish life in the Diaspora, where it is becoming more and more difficult to be certain whether a person one meets is, in fact, Jewish and not a mamzer. In America, for instance, a very large percentage of Jews have questionable status as Jews, due to two major factors. (1) Virtually all reform, conservative, and even a significant number of “Orthodox” conversions are Halachically questionable, at best, given that there was no real Kabbalat Mitzvot (acceptance of the obligation to perform mitzvot), even some as basic as the laws of Kosher food, Shabbos, and Family purity. If the convert never accepted those obligations, their Jewish status is very suspect, at best, in the view of Halacha. (2) Divorces that were not done properly according to Halacha resulted in the former spouses marrying others while in the eyes of Halacha they are still married, resulting in offspring who may be illegitimate – mamzerim – Heaven forfend. In Israel, by contrast, there was control over these areas, due to the law that the Rabbanut was the sole authority over Jewish marriage and divorce law, and had the power to accept or deny what it considered to be illegitimate conversions. Unfortunately, all has not been well at the offices of the Rabbanut for some time now. The stories of less than stellar treatment of people, the callousness that some have been subject to by the functionaries there, the lack of “user-friendliness” for irreligious people have caused much animosity. The fiercely secular media, which chafes under the notion that one must go to the Rabbinate for marriages and divorce, ceaselessly look for the most negative possible way to portray any story. On top of that, the scandal that was associated with the former chief Rabbi has sullied an already bad reputation and caused much harm. Enter, last week, Avi Weiss. The Rabbanut, in keeping with its long standing practice of non-acceptance of certificates produced by non-Orthodox Rabbis, declined to honor certificates signed by Avi Weiss, given that he has placed himself outside of the Orthodox world by any measure of standard Halacha. Unfortunately, rather than seeing this as a deserved rebuke to his shenanigans, the old rabble rouser cranked up his public relations machine, and enlisted everyone from the secular press, his congressman. the Jewish Federation, secular government ministers and even Alan Dershowitz to protest this turn of events. Falsifying the facts, he claimed that this was an attack by the Hareidi Rabbanut against Modern Orthodox American Rabbis in general. In point of fact, the Rabbanut has little or nothing to do with the Chareidi world, and the disqualification was not of Modern Orthodox Rabbis, but rather of Open Orthodox rabbis, who are a very different breed. No matter the truth, the Rabbanut was forced to bow to all of the enormous pressure, and accept Avi Weiss’ letters. This was spun as an achievement for the RCA (Rabbinical Council of America) who negotiated an agreement whereby, from now on, they will be in charge of certifying the credentials of RCA members who wish to send letters of certification to the Rabbanut. In my view, this is a tremendous failure on the part of the RCA, who have refused to expel Avi Weiss despite his clear abrogation of agreements with them to not ordain female Rabbis. Had the RCA done so several years ago, the Rabbanut would have not been under such pressure to certify Avi Weiss, as they could have pointed to his censure by the American Orthodox Rabbinate. The damage done here is tremendous. 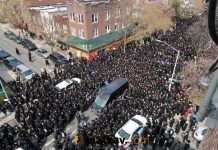 The immediate damage is the spectacle of the Open Orthodox rabbis parading their “victory”, and claiming that the Rabbanut has certified them as being fully Orthodox, further strengthening their deviations as legitimate in Jewish life in the eyes of many. But the larger danger is that the precedent has now been set that it is possible to pressure the Rabbanut into lowering their standards for what is acceptable as a rabbinic standard. The cudgel will be taken up, and soon, by the Reform and Conservative movement, who have for years been arguing for equal recognition as Rabbis in Israel. Now that the Rabbanut has been forced to bend, the blood is in the water. It is, unfortunately, only a matter of time before the Rabbanut will be forced to either recognize non-orthodox conversions and divorces, or to close down as an institution. The bulwark that has protected the status of yuchasin in Israel will in all likelihood be breached, much to the detriment of Klal Yisrael. This is the essence of Avi Weiss’ great victory. Quite an achievement indeed. If this rasha’s name in mentioned again on this frum site, I won’t visit matzav.com anymore. Rabbi Weiss and Rabbi Joe Potasnik both went to be menachem avel by the Stark family. As they were leaving, they asked for the way to the subway, as they were unfamiliar with the Williamsburg streets. The yungerleit there said chas vshalom! Chashuver Rabbonim like you should take a subway?! We will drive you home ourselves!. I think we all need to learn about ahavas yisroel from Satmar. At least please don’t print his picture. Rabbi Avi Weiss is no rasha. That is a disgusting thing to say. He has led a life full of ahavas Israel and ahavas Torah. You can disagree with his derech but he is no rasha. an otherwise good post … but ruined by the very last sentence. why cant we disagree without being so disagreeable? Please don’t give this man anymore publicity. He lives for attention. “open orthodoxy” = reform. I am an old acquaintance of Avi, long before he was ever considered to be a Rabbi. He was passionate then, and he certainly has a heart that looks to do good. I recently met him at a simcha. the topic turned to the topic of the Maharat/Rabbah, and he casually remarked how surprised he was at the strong opposition he had received from the various mainstream Orthodox circles. 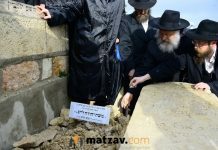 “One would think that I killed someone.” I stared at him in disbelief, because I knew he had done much worse than killing someone by tampering (to put it mildly) with Mesoras HaTorah…. Rabbi Weiss has been a rebel for the longest time but believe now (these ‘rebels’ are setups) is the time that they are going gungho to reach their goals. These are unJews who are trying to undo Torah and are living two lives. The external and the hidden; hiding their agenda in consort with other faiths trying to undermine Torah m’Sinai. He has already won (that’s what he/they think) in Israel. This is happening all over at this time. H’ yerachem al amo Yisrael. We pray Moshiach T’zdkeinu will not be delayed for even another moment! Maybe I am incorrect but this does not affect conversions and divorces, all it means is that a person who needs a letter that they are the child of a Jewish mother can bring a letter from a rabbi that he knows this person and knows he or she is the child of a Jewish mother. You are conflating this into an attack that has nothing to do with the facts of this case. You are entitled to call O O whatever you want,but do you honestly believe that Rabbi Weiss would deliberately lie about the Jewishness of a person’s mother? Perhaps if we boycott and stop using foodstuffs with the supervision we could also levy some pressure of the RCA to follow Halacha,? This article is so incredibly rude and misleading. Whether the rabbinate like RABBI Weiss or not, this does not diminish the fact that he is an orthodox rabbi and a member of the RCA. The rabbinate can’t choose in secret who they accept and who they don’t. They need to have clear consistent standards that apply to all. Thank You for this article Rabbi Oppenheimer.i now have a much clearer idea of the damage that has been done by this man .Yes , I too decline to call him a Rabbi. If he is willing to create, through his Bet Din, which he entrusted to an apikorus, geirim who do not meet the most basic standards of geirus, then logic dictates he cannot be trusted to testify as to who is Jewish. He obviously has incorrect halachic understanding as to who is a Jew. What is incomprehensible is that there is anyone who does not concur with the simple logic. Unless of course that person does not believe there are any standards associated with geirus and just anyone can be declared a Jew. Such a person would of course support Weiss and be bothered by those who find Weiss’ testimony in these matters suspect. His testimony is ????? ?????. To the one who urged respect like those by the Stark residence – in person perhaps, but the fight over here is about defending the Torah, and realizing what we are up against is a crucial step in the battle. To those who said he should be called Rabbi- He’s a Rabbi the same way all his female Rabbot are Rabbis- Rabbi implies someone (at minimum) that doesn’t endanger the survival of the Jewish/ Torah abiding people-Thus, no need to call him Rabbi. To the one who said calling him a Rasha is a disgusting thing to say and that he has led a life of ahavas Israel and ahavas Torah, – perhaps ahavas Israel, but he seems to love the Goyish mentality more then Torah- which is a problem. To almost everyone else- ditto! Kosher homes do not spit at the chalice of worth. This article is useful but not that intelligently designed. Overall, I would think that there are clearly issues, but we should not throw the whole wall to the wall. The untimely advance of a fraud called open orthodoxy is not going to break into True Torah ways. It is a fraud and as Torah says “All conspiracies will be annulled”. Have faith in Torah and G-d. If there was a Pinchus today….. He is as much a Rabbi as I am one ( I’m female ). There is no Torah without Mesorah! It is a chilul Hashem to call him a Rabbi. Conservative Minister possibly? how can his testimony on who is a Jew, be accepted?